Have you been putting off writing your horse book? Are you in the middle of a manuscript? Or do you have a finished draft and you’re not sure what to do with it next? 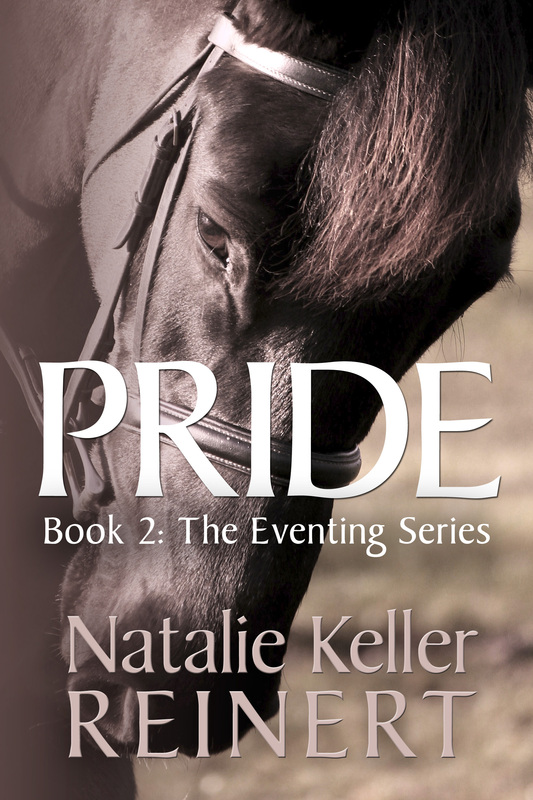 Join me at NatalieKReinert.com, my author site, where I’m beginning a multi-part series on writing equestrian fiction. Even if you’re writing a memoir or non-fiction work, we’ll probably discuss something of interest to you! Come join the conversation, at So You Want To Write a Horse Book. I’ve been writing horse books for the past six years, and every year I get emails from readers asking for advice on getting started in the genre. Now, to be fair, it’s a pretty new genre. What we’ve started calling Equestrian Fiction didn’t used to exist, and if you ask a big book retailer, it still doesn’t exist. That’s why Equestrian Fiction dominates non-fiction categories like Horse Care, and Equestrian Sportson Amazon. We have the most popular books for equestrians, but no real category. That’s a gripe for another time. Equestrian Fiction is growing by the month, with 2016 seeing a true explosion in titles. Established writers are continuing their series, and new writers are showing up with fantastic reads. Do you want to join in the fun? Let’s talk about horse books. Are you ready for the Preakness Stakes? If you’re in Maryland this weekend, add Pimlico Racecourse to your plans on Friday. That’s because it’s Black-Eyed Susan Day, a celebration of all things Maryland horse-racing. There’ll be barn tours, giveaways, live racing (the Black-Eyed Susan Stakes, plus more!) and book signing events with some equestrian authors… like me! I’ll be signing copies of my horse racing and Thoroughbred retirement novel Turning For Home, the recent finalist for the Dr. Tony Ryan Book Award. I’ll also have a few copies of my eventing novel, Ambition, on hand for anyone who wants them. You can also feel free to bring along any other titles by me you’d like signed! I’d love to meet readers and talk horses and books with you, so please come out! Well done, an outstanding read! I knew the news was bad about Philippa hours before it was ever released. I was doing what I always do on the weekends of the “big ones.” Scrolling through Eventing Nation, constantly refreshing, trying to see the latest update or the most recent scores. My trainer Allie was four or five riders away in the 3*, and I just wanted to know if she had gone clean; if she was safe. But then I saw that there was a fall, and a hold. Philippa Humphrey’s had come off, which made my stomach sank. Talk Derby to Me. If You Must. I Have No Idea. I have a co-worker who enthusiastically starts asking me all kinds of questions about the Kentucky Derby the moment he sees me. He’s been doing this for at least a month. He leans in with what he apparently thinks is a suave backstretch-insider smirk and starts talking about works and post position win statistics and how much he’s going to put into his exacta box. And every time I smile really politely and remind him that this year is not a Derby year for me. I’ve been paying absolutely no attention to the Kentucky Derby. Oh, I went to the Tampa Bay Derby and saw one of Saturday’s starters win that day. But I was still so star-struck after seeing champion mare Tepin win, I actually forgot who won the feature race and had to be reminded later it was Destin! Sorry, Destin! The reason is two-fold: one, I have been really focused on eventing this year, because that’s the subject matter of the novel I just finished, and two, I prefer summer and fall racing. I particularly love the big summer races at Belmont and Saratoga. Maybe it’s just that I really love summer, I don’t know. The Travers Stakes is my derby. It’s kind of crazy that the number one event non-equestrian people associate with horses, is probably one of the least popular events for the general population of equestrians. I know I have plenty of readers who don’t like horse racing. Or who don’t mind the concept, but can’t abide with the execution. Or who are completely indifferent. Even if you come to this blog because you love your retired racehorse and you’re proud that your OTTB was once a warrior on the track, I’m aware that probably more than half of you just plain don’t like horse racing. That’s okay. There are plenty of reasons to not like racing, or just to insist that the industry hold itself to a higher standard and fix itself, for goodness’ sake — just like there are opportunities for any other equestrian sport to do better by its horses and by its people. I just wish that other sports could grab hold of the American imagination as whole-heartedly as horse-racing, and more to the point, that other single competitions could enter the line-up of great American sporting events, as well as the Kentucky Derby. My big equestrian moment of the year isn’t tomorrow, it was last weekend, and it wasn’t even on television, but live-streamed: Rolex Kentucky Three-Day Event. For other riders, it might be World Cup show-jumping, or dressage, or reining, or… or… so many disciplines, so little market share. I love horse racing because I think at its heart, racing is the most pure form of equestrian sport: My horse is faster than your horse. But at the same time, horse racing isn’t a fair representation of what the horse means to us in America. The Kentucky Derby isn’t the symbol of our collective horsemanship. It’s just one drop in the bucket of all of our love and hard work and passion and drive and sweat and tears. (But hopefully not blood, to quote Grace Wilkinson in her new eventing novel A Perfect Stride.) It’s a part of all of us, whether we like it or not, because we’re horseman and at our core we know only endless labor and endless love can produce good horses. But we all add up to more than fast horses: we add up to strength, endurance, scope, elegance, precision, sensibility as well as speed. What’s the point of this ramble? I wish horses were more popular, and less insular, I suppose. I wish more kids got to be working students at a barn a bike-ride away from their neighborhood. I wish there was a barn in my town. I wish Pony Club was as normal in a suburban town as soccer or gymnastics. I wish horses were more of a way of life and not mistaken for a status symbol, since I daresay most of the horse-owners in the United States would laugh heartily if you accused them of being rich (or possibly even middle-class). I wish someone would ask me about who I liked at Badminton this weekend. Hello, Retired Racehorse Blog readers! This site has a long history under this name, but domain changes and the loss of our .com title have really taken its toll on the links, pictures, and stories. In the interest of keeping all of my writing in one place, I’ll be slowly migrating important posts over to my personal website, nataliekreinert.com. In particular, most of the book reviews will be stored there so that readers have a definitive database for equestrian novels and non-fiction books. So please visit nataliekreinert.com, find me on Facebook at facebook.com/nataliekellerreinert, or on Twitter at @nataliekreinert. I’ll keep you updated! It’s a tragedy to me that people are so willing to jump on bandwagons, at the peril of causes and lives that truly need help. While NYC carriage horses are privately owned and cared for by a staff of grooms, as well as their owners and drivers, there are people who have offered to “adopt” them, as if they were somehow horses in need. Meanwhile, horses like these two Belgians, who have no jobs and are genuinely in danger of being put down, go without offers of adoption. You ever hear of the shelter initiatives, when animal shelters beg people to adopt animals who AREN’T in danger of being put down, but are just languishing in a shelter, with no family or future, for months or even years on end? That’s the kind of situation draft horses in the Northeast are facing right now. The work horses have work, complete with mandated working hours, conditions, living requirements, and vacations. Other horses, without the protection of the government, live in squalor and poverty, overworked or never trained at all… and somehow that’s considered more humane. If you have a horse who works for a living, you have to support the rights of owners and working horses. If you don’t like the way they live, you can work to change the way they live… but you can’t simply agitate for an outright ban. It’s a slippery slope, and one day you’ll be seeking to defend yourself for “forcing” your horse to jump fences, run barrels, or simply to live in a box-stall instead of running free in the green fields like some sort of calendar photo. In the meantime, let’s hope one of the nice people who are so happy to “adopt” carriage horses who have already have names, jobs, owners, and people who love them, will step up for these poor Belgians who truly need help. SPECIFICALLY: Mayor Bill DeBlasio, Allie Feldman, Steve Nislick, NYCLASS, Elizabeth Forel, PeTA, Donny Moss, P!nk, Alec Baldwin, Lia Michelle, Jillian Michaels, Win Animal Rights (WAR) and any others claiming to have available homes for the Famous NYC Carriage Horses! I could have entitled this “Where I’ve Been” or “Sorry to have gone missing” but I am taken with Other People’s Horses. For one thing, it is the title to the “sequel” to The Head and Not The Heart. So get excited about THAT. But for another, I have been spending my days taking care of other people’s horses, and that’s why the blog has been taking a vacation. Most of you know me from Facebook or Twitter or even (gasp) real life, and so you know that I’m a freelance writer with two identical desks, one in my living room overlooking the lower Manhattan skyline, one in my bedroom facing a blank wall (that’s like, my punishment desk, the one I have to go to when I spend too much time staring out at cars and trains and airplanes and the occasional person crossing the avenue on a pogo stick — yes this has happened; this is Brooklyn, after all) and that I write constantly, all day, obsessively, risking carpal tunnel syndrome with every keystroke, whether it’s fiction or non-fiction. I love writing and I love writing Retired Racehorse Blog with all my heart. We reach people here, we change minds here, we help horses here. This is an important piece of the Thoroughbred Revolution and it’s not going anywhere. But I had an opportunity I couldn’t refuse — you know the type — to work for the Parks Department mounted unit. They sort of played unfairly at the interview. 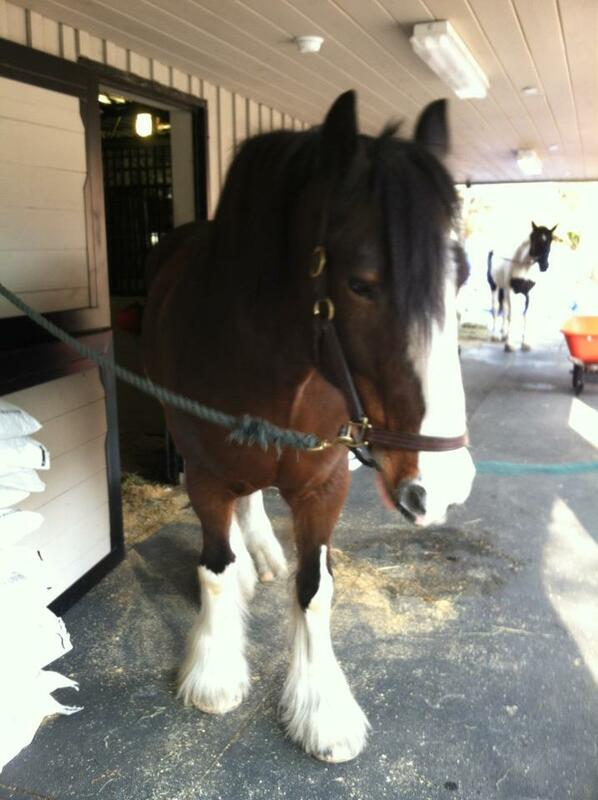 I went in with mixed feelings, yeah yeah I could muck stalls and feed horses for you, or I could sit home and write about them, not sure which is better, and then they put me on a Clydesdale and sent me out on a little jaunt through Central Park. Not. Fair. What was I supposed to do? Refuse the opportunity to ride draft horses in Central Park? Is that some kind of joke? So they ensnared me with their shiny horses and their Frederick Law Olmsted park and their easy subway access. I had to do it. What does this mean for Retired Racehorse Blog? A couple of things, one of which I have really wanted to implement, anyway. First, quicker entries and occasional lengthy tirades of opinion from me. I don’t have that much time to write, and projects like The Daughter of Horses, Other People’s Horses, and Ambitious Riders are screaming for my time. A reader commented on my Facebook page that she’d like me to concentrate more on my novels than my blogging, and honestly, that’s what I’d like to do, as well. Second, and this is something I’ve been hoping to get into place for some time, more contributors will be joining Retired Racehorse on regular or occasional basis. There will be more success stories, training articles, and opinion from people besides me. It’s going to make Retired Racehorse a stronger, more all-around location to find information about OTTBs. It’s going to incorporate more than just my opinion. One of the reasons why I changed the banner of the website from “Retired Racehorse Blog” to simply “Retired Racehorse” is that I wanted to slowly step away from the blog format and move towards the magazine format. Third, there will be a publishing arm to Retired Racehorse that will be debuting in the next few months. This has been in the works for some time, and while it is moving more slowly now, it isn’t going away. The first ebook release from Retired Racehorse will be coming soon, and you’re going to like it. Following that, we’ll be releasing OTTB success stories. There will be an all-call for OTTB stories in the future, so be prepared! If you want to be a part of Retired Racehorse, you can always email me at nkreinert@nyc.rr.com. You don’t have to be a novelist. You don’t have to be a blogger. You don’t even have to be good at Facebook statuses. Lord knows I’m not. You just have to have something to say. You’re in luck: I’m an editor. Editors pretty up writing, put in the commas and the paragraph breaks and the missing modifiers. If you’ve got a peeve and you need a soap-box, if you’ve got an idea and you need a platform, if you’ve got a great story or training method that’s going to help horsemen and horses and you need someone to get it out there for you, Retired Racehorse is here.